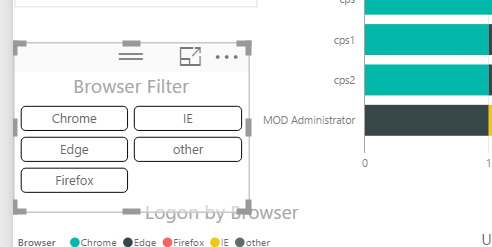 We have the blank canvas ready to add the data and visualisations. 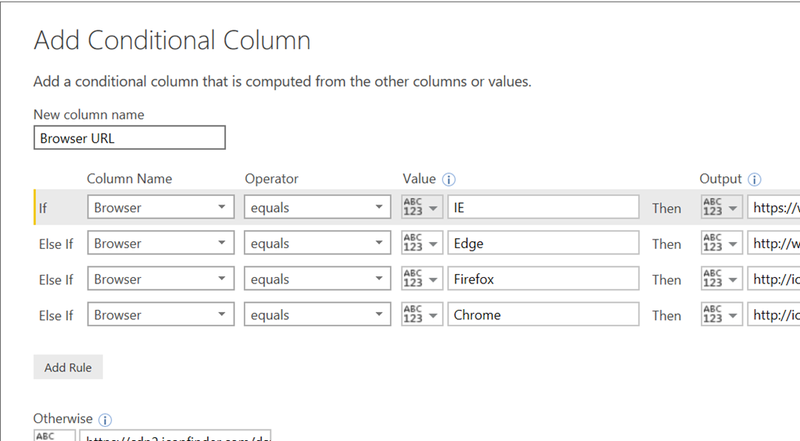 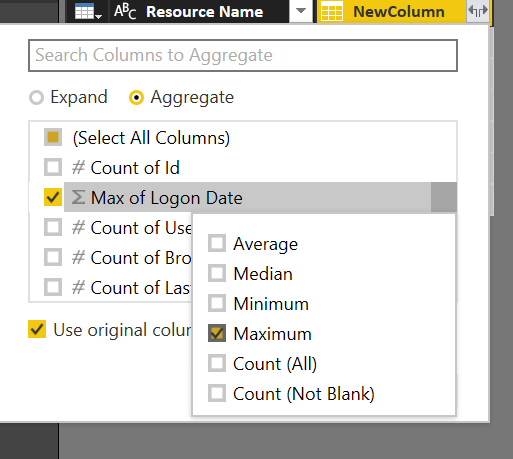 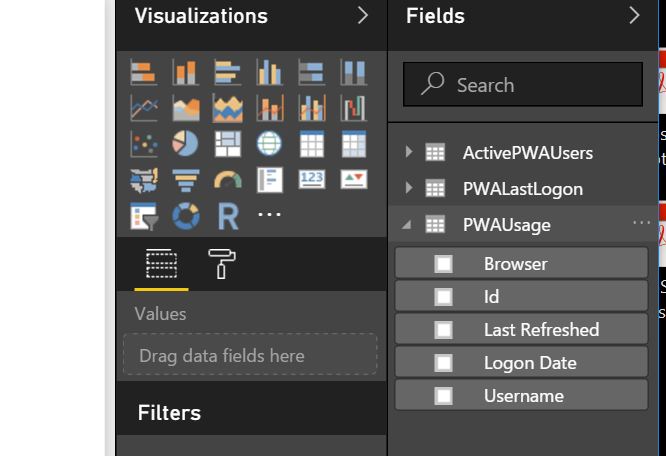 In the blog post we I cover creating the report below, Power BI has many options which we don’t cover here but all are intuitive so have a play! 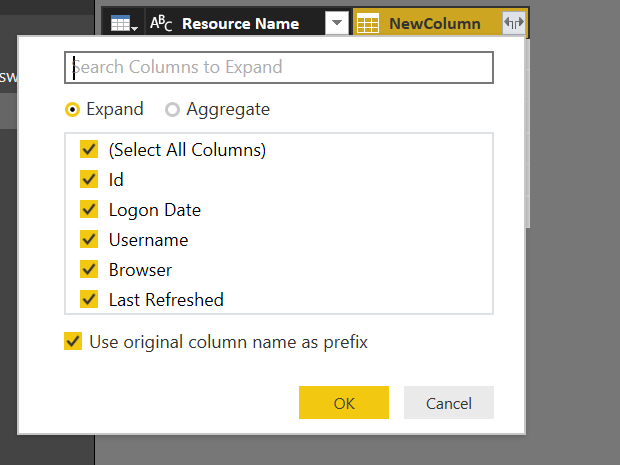 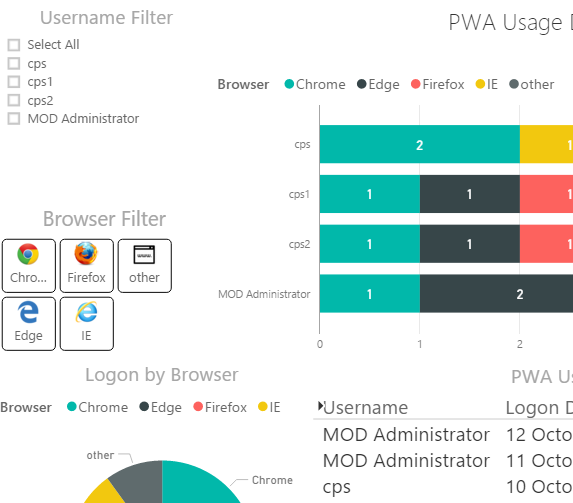 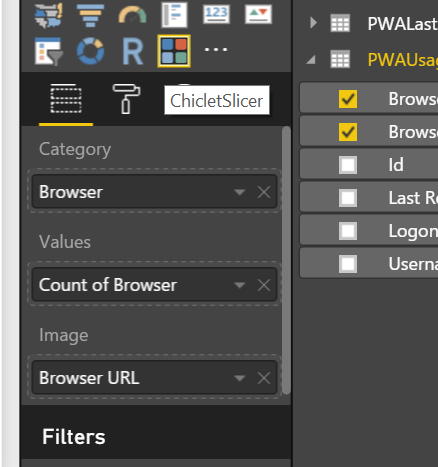 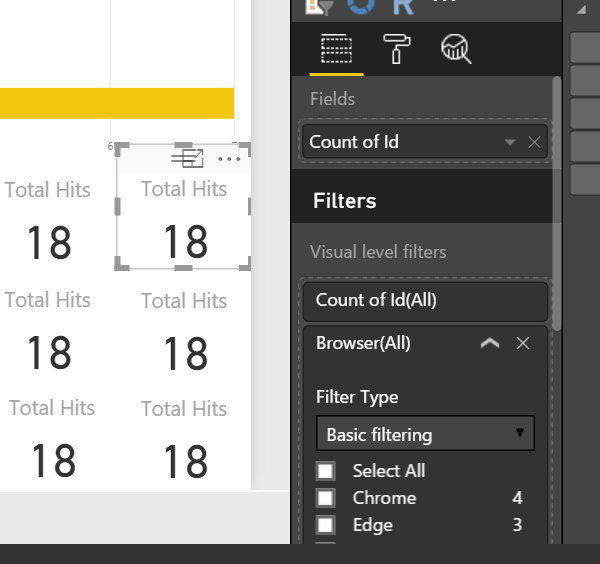 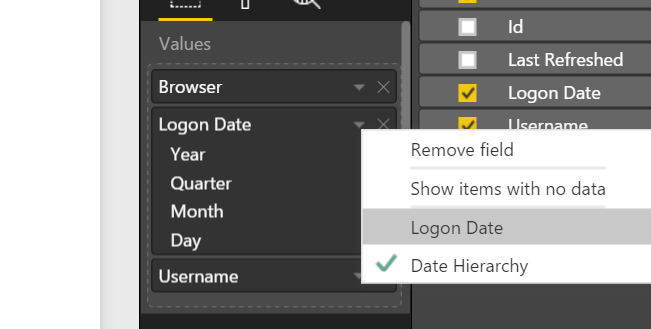 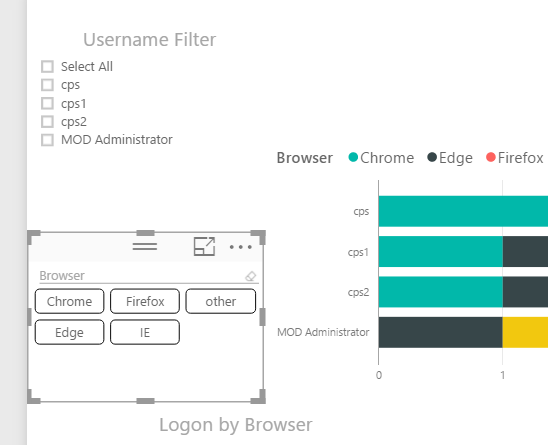 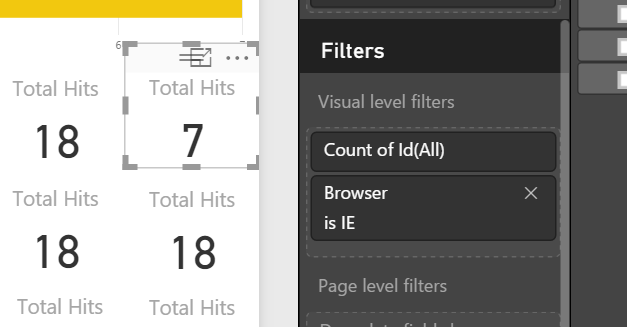 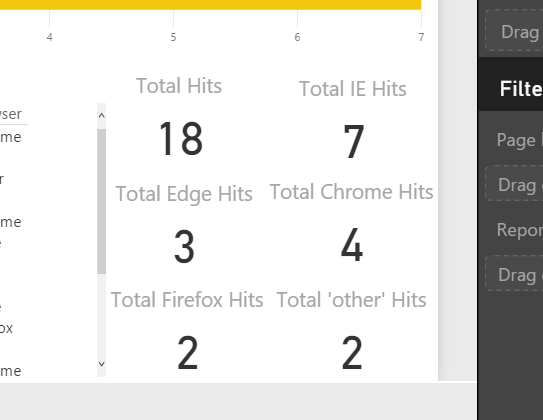 Before we start, the report example I created uses a custom visual from the gallery for the Browser filter, this can be downloaded here: https://app.powerbi.com/visuals/show/ChicletSlicer1448559807354 or alternatively just use the default slicer visual like the one used for the Username filter. 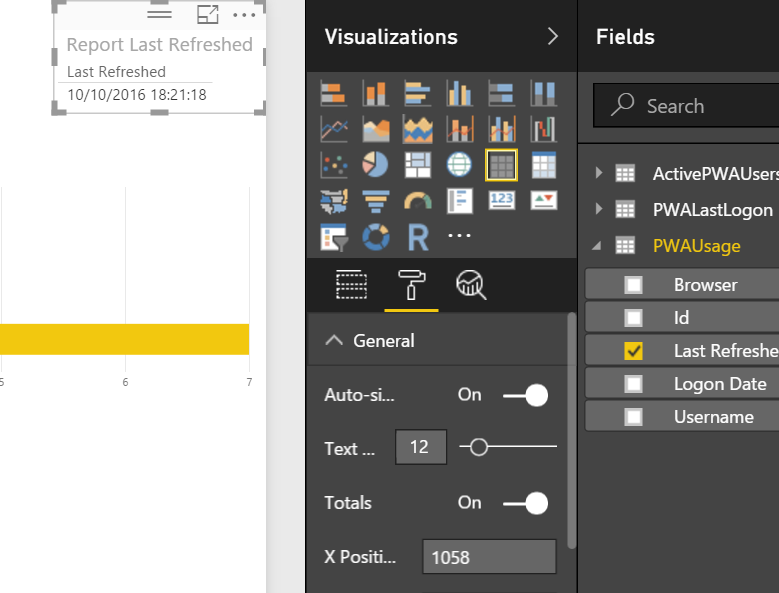 The same process as before, update the visualisation settings as required by clicking the roller. 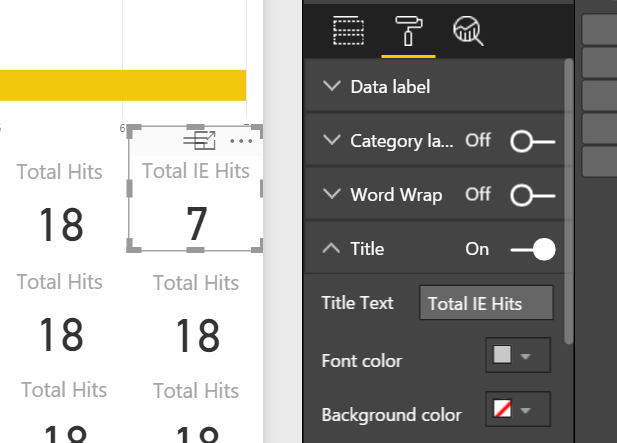 I updated title, increased the size of the legend text and turned on data labels. 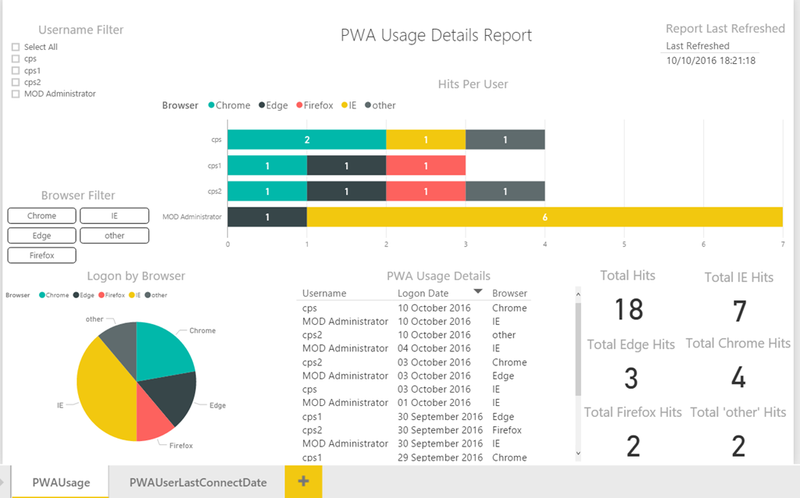 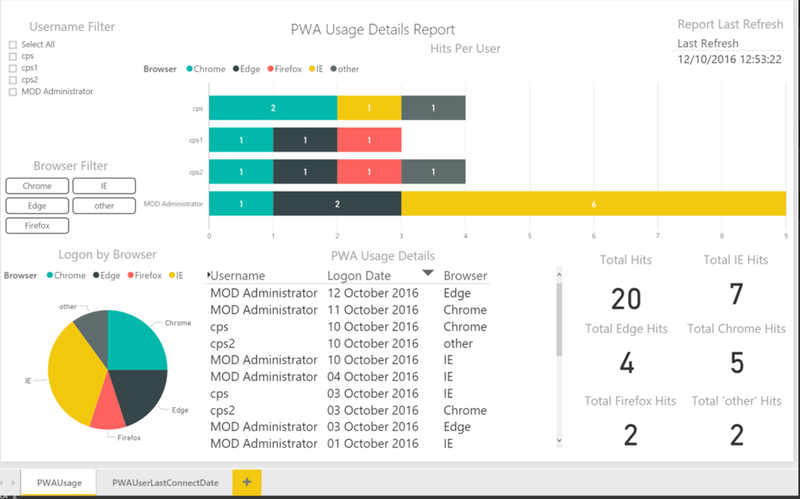 So here you can see some useful stats around the PWA usage. 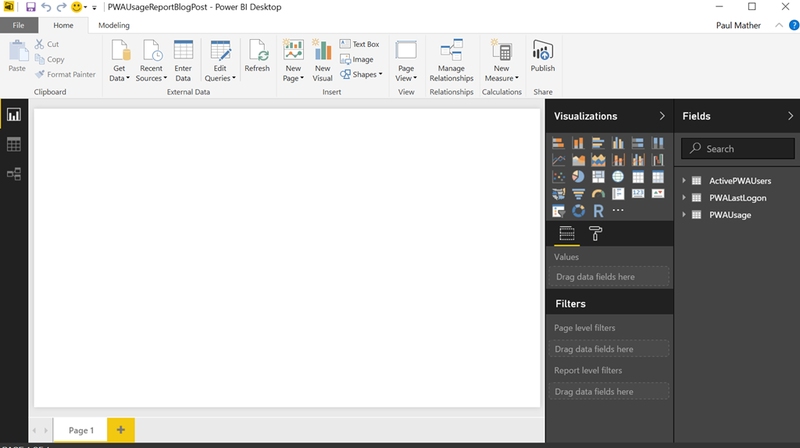 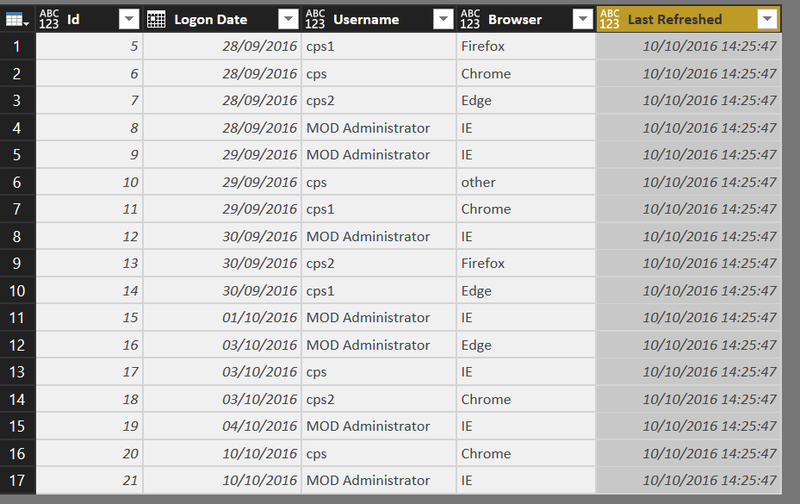 Once completed save and publish your report to Power BI or you can just use it from Power BI Desktop if needed. 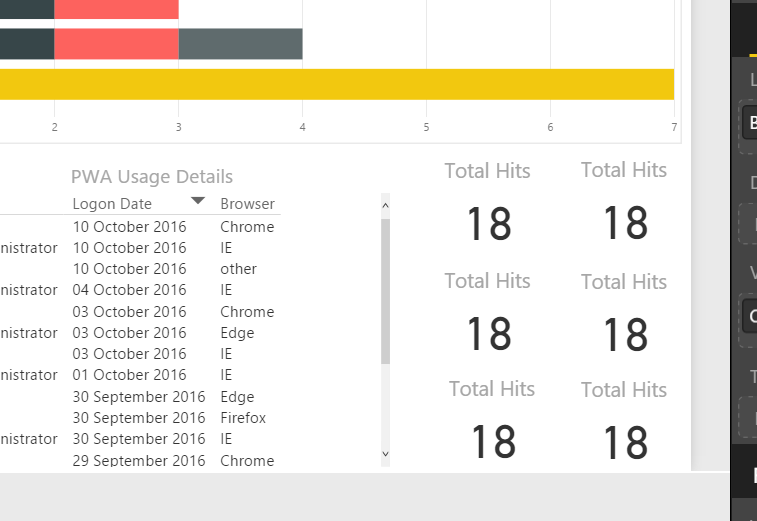 Power BI offers great report visualisations, this is just a simple example, see what you can come up with! 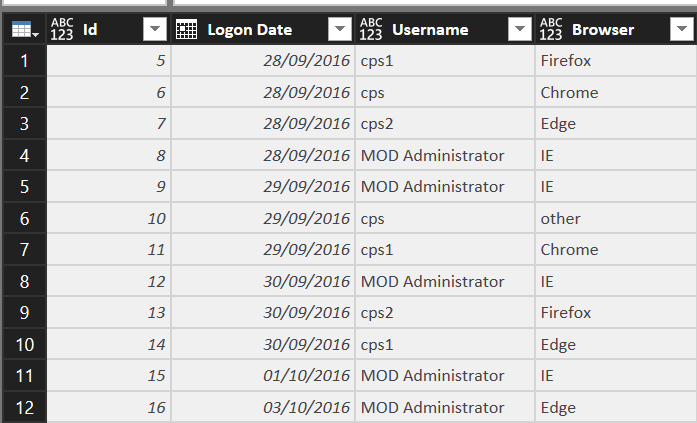 Also worth noting, if you haven’t done so already, install Service Pack 1 http://support2.microsoft.com/kb/2880556 first if installing the October 2016 CU. 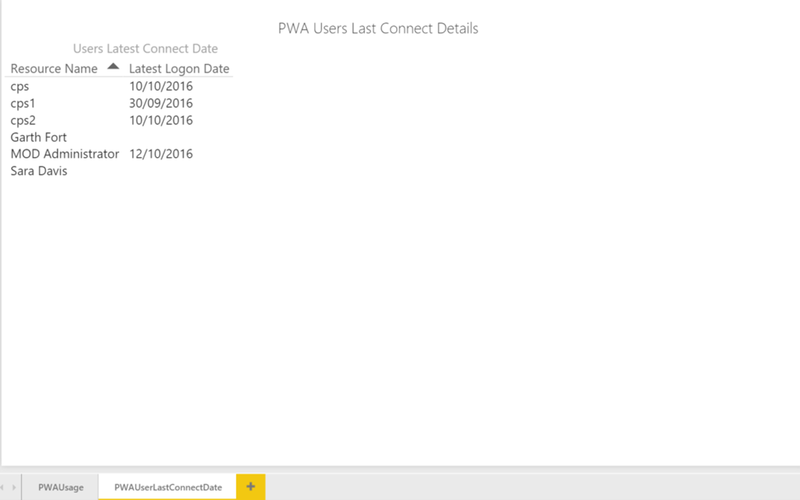 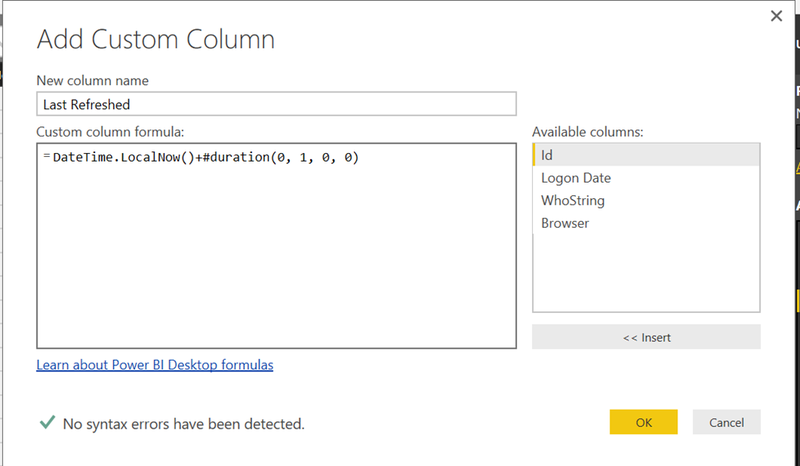 Click OK. Update the query name to something meaningful such as PWALastLogon. 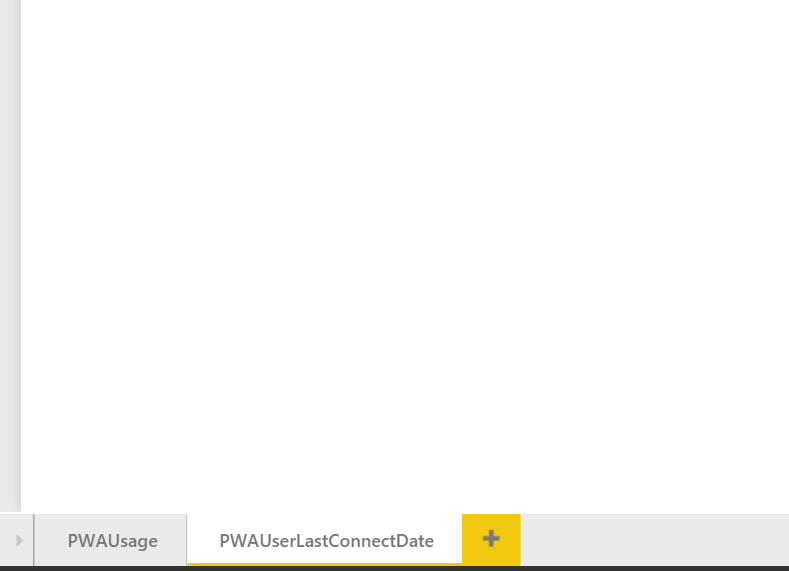 All I had to change was to join PWAUsage to ActivePWAUsers by dragging Username from PWAUsage to Resource Name in ActivePWAUsers. 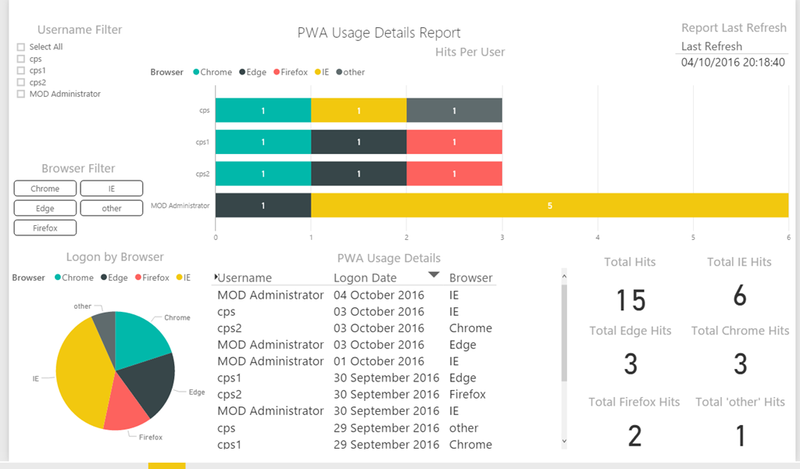 Now click back to the report view and we are ready to design the report. 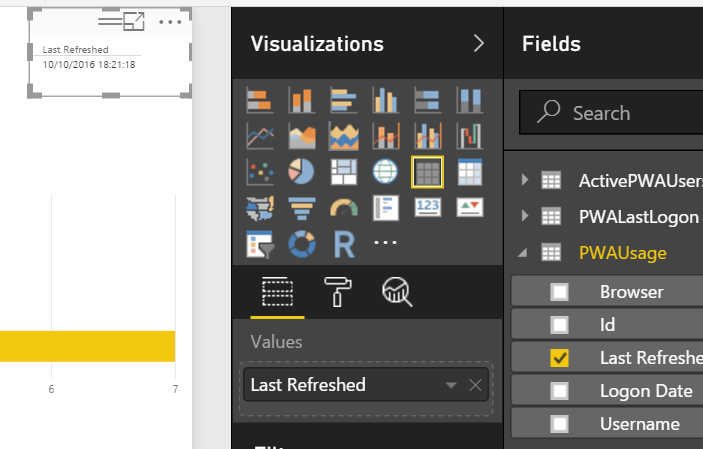 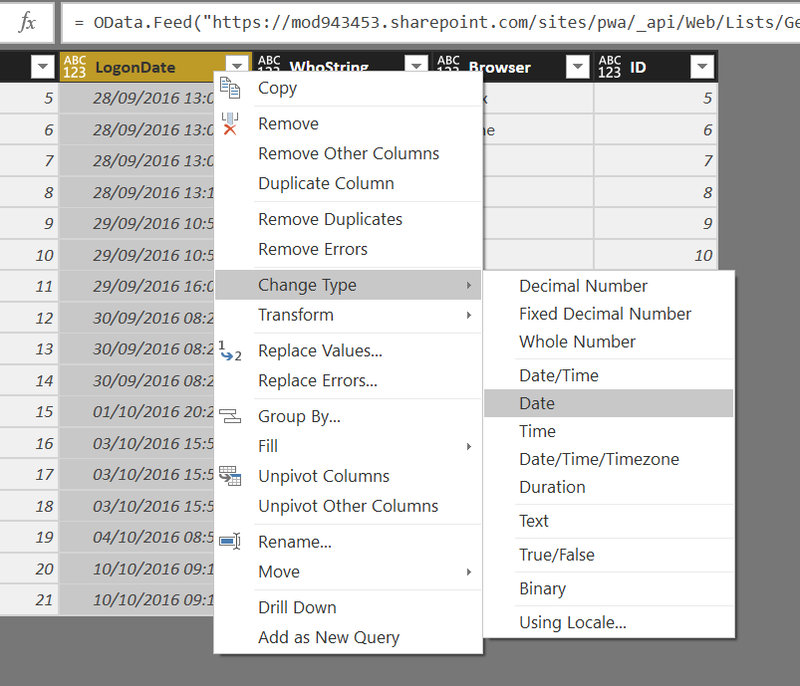 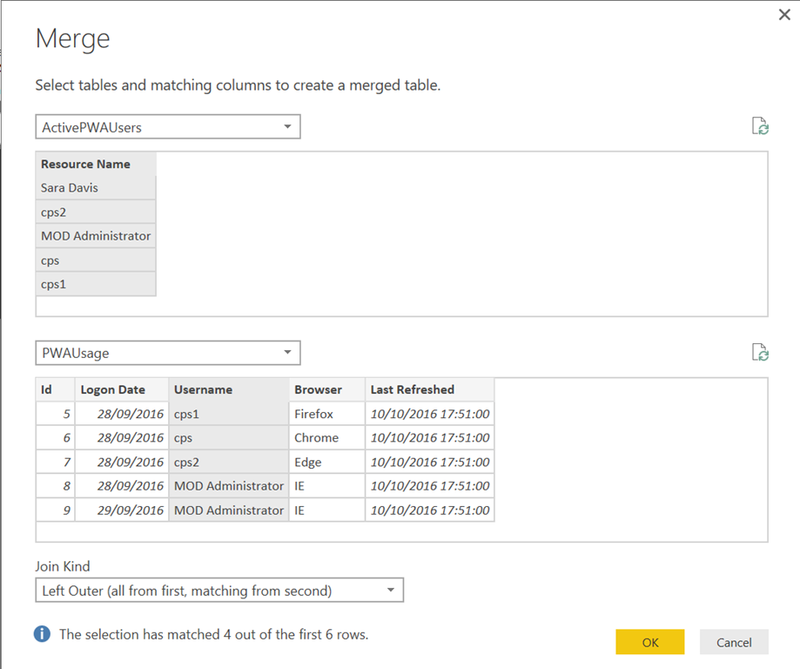 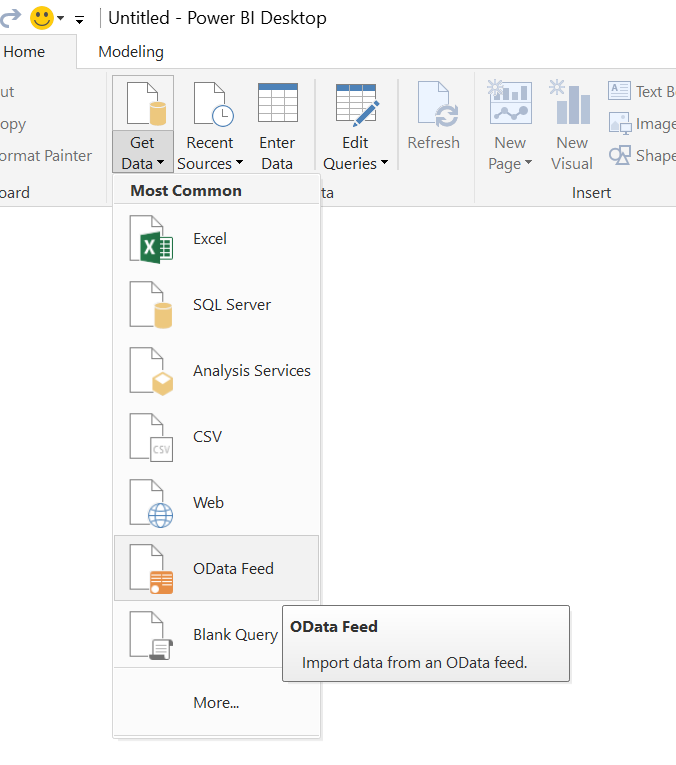 Now we have the datasets ready, in part 2 we will look at creating and designing the report, for now ensure you save the Power BI report for later when we look at designing the report. 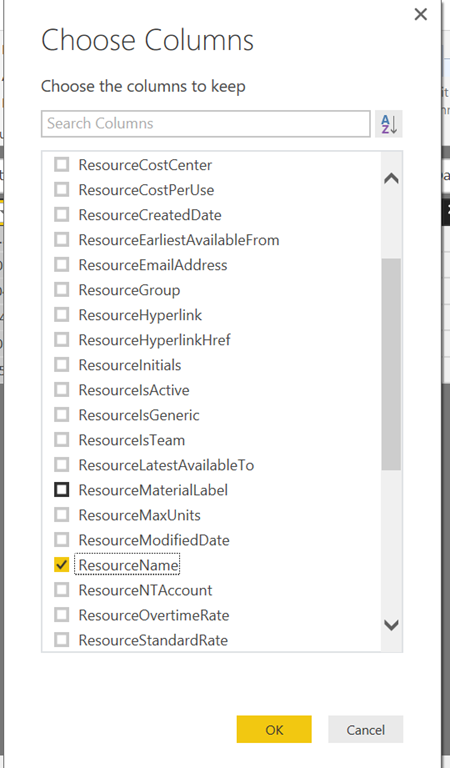 Select at least one resource in the grid then this command will work fine.